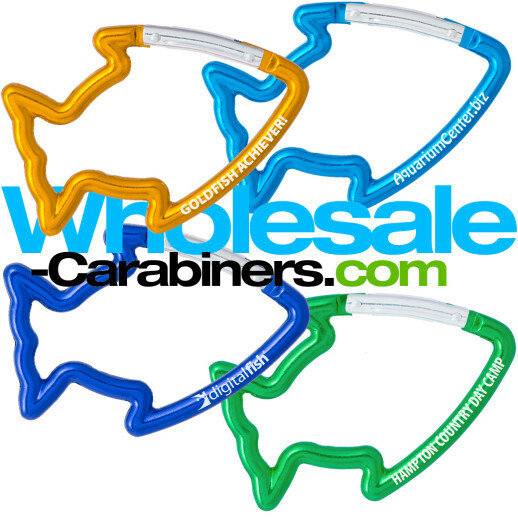 Check out our swimmingly cool fish carabiners, US Patent D565393! Engraved with state-of-the-art high quality fiber laser engraving equipment for the best detail and whitest engravings, we maintain our inventory here in Ohio, and provide 3 day production. Our fish shaped custom carabiner comes with laser engraving included in the low wholesale price and feature a sleek, rugged and bright anodized aluminum finish! Not "bent", they are precision molded, providing the detail, precise curves and shapes that only true molding can deliver. Our custom laser engraved fish carabiners, as with all our aluminum products, are constructed of bright, eye-catching U.S. lab certified lead-free series-6000 anodized aluminum. and area available in four cool colors. And second-side — or back location — engraving is available for only 15¢ per. 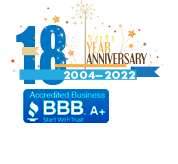 It's great to promote your company name or logo on one side, and for your Web address or other information on the other side.